Hey folks. The Tumblr move is happening. I will be resuming this blog at directorisin.tumblr.com. With luck, posting will resume this weekend. There have been so many versions of Blade Runner throughout the years, that it’s hard to accept that the Final Cut is the final cut. I’ve seen so many of them it’s also hard to keep them straight in my head. What I can and will say about the Final Cut is that like all of the other cuts, it points out that Blade Runner is simply one of the best crafted films ever made. That and I really want to steal Ridley Scott’s lighting to use in one of my own films. 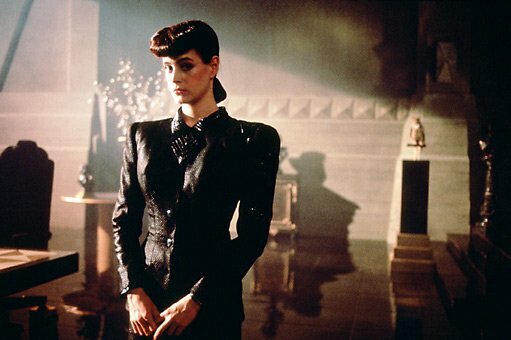 I was struck this viewing with how stunningly beautiful Blade Runner visually is. It’s no wonder this film has been an inspiration for so many filmmakers. This blog may be moved to Tumblr. Posting keeps failng for me here. I will announce if this happens. Perhaps I should open this with a disclaimer; most people are shocked when I say this, but the Scream franchise is my favorite horror franchise and I’ve seen every one of the films in the series – I count Scream itself as a film that has one of the biggest influences on my path as an artist. So, when I tell you that I greatly enjoyed Scream 4 you’ll understand that while I’m slightly biased to like the film, I come from a background that actually understands and loves what Craven & Williamson have done to the genre with the franchise. There has been what I think is an unjust amount of critic hate for Scream 4; frankly, when your original film is incredibly strong, even ground-breaking for the genre any film that follows it is going to be harshly judged and people will be looking for chinks in the armor with each passing film – so by the time you get to number 4 many people are going to be going into the theatre expecting to be disappointed. I was not disappointed. While I think Scream 4 suffers some from having the inevitable weight of 3 previous films on its shoulders, it plays very well at its new concept and keeps it scary; in a day of horror reboots and remakes, the Ghost Face killer has decided to create a real life reboot and the cast of victims even resemble the victims of Billy & Stew’s original killings. This is a new generation that Sydney, Dewey & Gale must combat – one that has turned the horror story of their life into a parody, spends 24/7 updating each other on their lives and blames Sydney for turning their town into a living horror story. To them the original Woodsboro murders are a joke until the masked killer begins to come after them. Craven and Williamson play beautifully with the horror clichés that have e3xisted for years as well as the ones they changed in the original Scream making Scream 4 one of the most reflexive films I’ve ever seen. I do have to say that my personal favorite moment in the film would probably be the conversation two of the characters have in the opening film about how horror films now aren’t scary, just gory – something Craven has refused to do in this film. He’s made a film that has jumps, screams and mystery – it’s actually scary. If you haven’t jumped on the Scream wagon with the original films, I doubt you’re going to with Scream 4; but if you’re a fan of the originals, or want to be, Scream 4 is a fun ride. There is a kind of beauty in a film that isn’t meant to be fully understood by the audience. A truly talented director can take a film, knowing it will be more than the audience can handle and make it entertaining regardless. 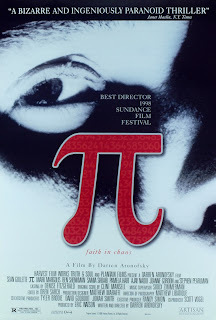 Pi is such a film. Perhaps, Pi eludes me somewhat as I fail at anything mathematic, but it was nonetheless arresting. What draws me in to Pi is what draws me into every Aronofsky film – he’s making a film without concern that the viewer may not understand, he simply wants us to be drawn in and to experience. Every Aronofsky film is unique and worth whatever effort you have to put in to finding it. © Megan Welch. Awesome Inc. theme. Powered by Blogger.